Kevin DeYoung. Crazy Busy. Wheaton, IL: Crossway Books, 2013. 128 pp. This book is relevant for everyone. It is a neat little book on busyness by Pastor Kevin DeYoung. I used this book in the context of discipleship with one of the members of our church. I do recommend it for either personal reading or reading in a discipleship context. In a world in which many people are so busy, this book approaches the subject spiritually. It is both theological and practical. I appreciated how early in the book DeYoung tells the reader that he’s not writing this book because he’s mastered the subject but rather he’s writing this for his own edification and that he’s “trying to figure things out.” His humility and description of his problem is one that would make readers connect with the author. In the second chapter of the book DeYoung goes over three dangers to avoid when it comes to busyness. DeYoung reminds us that while there are books that talk about the physical risk of being overly busy, we must not forget the spiritual threat that busyness can be to our own faith. We must not allow the busyness of work and life rob our hearts and joy while also examining to see if our busyness is a way of covering up the rots in our soul. 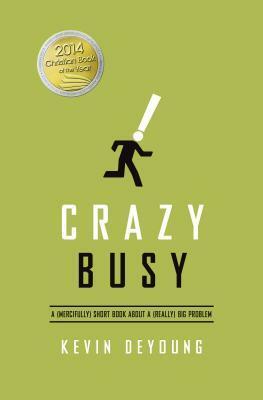 The bulk of the book goes over the seven diagnoses DeYoung identifies with the problem of busyness. They are all very good but two stands out among them for me personally. It was very edifying to read his discussion about how busyness can be a manifestation of pride. Here DeYoung gives us what he calls the “Killer P’s” that are the many faces of pride such as the fact that we can be busy because we want to please people, get pats on our backs or desire for perfectionism, etc. DeYoung poses to the reader a good question to test if our busy work is for God or for our pride: “Am I trying to do good or to make myself look good?” I also appreciate DeYoung’s discussion about technology that strangles our soul. It is wonderful to see DeYoung address this issue in a world of social media and smart phones. He’s not doing this to show he’s hip and up to date since he talks about how fleeting technology is, given how fast things change but he’s addressing this pastorally. I appreciated how in this chapter DeYoung not only talk about the obvious risk of addiction but also the threat of acedia which he describe as something like sloth but has the aspect of indifference and spiritual forgetfulness. It is the condition where we are busy but not with something important but being busy with being busy, where are content to do things that are purposeless and shallow in the passing of time. I appreciated how the book ends not with a call to not be busy—but rather DeYoung is realistic in that we cannot forsake all things in order to not be busy. He does have a chapter titled “Embracing the Burdens of Busyness” and his final chapter was very appropriate in that he tells us that in the middle of all our task, there is one thing we must do even if it’s not man-centered pragmatic: we must make the time to be closer to Jesus. Excellent! I highly recommend this book. There is a reason why it is the 2014 Christian Book of the Year. What I like about this quote is the fact that it is relevant to the discussion about the place for theoretical versus practical theology. Some sees one is better than the other, while some are reductionist and think there should be one at the exclusion of the other. Still, some see there can be a mutual balance between the two but what the mechanics look like is not delineated. Frame earlier in the book made the point that all theology is ethical in that what is true from God’s Word are what the readers OUGHT (moral obligation) to be believe. If that’s the case, what is ethical is definitely practical, at least in the area of what we are to practically believe is true. However, truth about God and the relationship of God to everything else also has further implications for our living as well but we must not miss the ethical and practical nature of even believing the truth of God’s Word. John S. Feinberg is Professor of Biblical and Systematic Theology and Chairman of that department at Trinity Evangelical Divinity School, and the son of the famous Old Testament scholar Charles Feinberg. According to Amazon Sales, his most popular book is Ethics for a Brave New World that he co-authored with his brother the late Paul Feinberg (another great scholar). 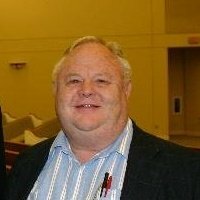 Seeing that his contribution towards Christian ethics has been important, the following series delivered by John Feinberg during the winter of 2012 at The Master’s Seminary might be great resources for Christians! May the Lord use these lectures to bring Christians towards a more consistently thought out biblical worldview and Christian ethics in a time such as ours. Download MP3 (7.8MB) Batch downloads • How? This classic is a good read for the soul. This work asks some probing and convicting questions for the preacher and the pastor whose responsibility is to see men know the Gospel and Jesus Christ. There are sins of commission (sins that involves our active participation) and sins of omissions (sins when we do not do what we are obligated to do). There were times when I read this book I had to pause, search my soul before God, repent, pray to God and also heavily burdened to pray for others. This work is good enough and short enough that every minister should read this work annually. This is the first time I read a work by this author and the impression I get from this work does incline me to consider reading other titles by the same author. You can purchase this short work here. Apostasy in Pastoral Theology: Thesis by Steve Hays, Online PDF! Steve Hays, the big contributor behind the impressive Triablogue, where they battle unbelief everyday, has loaded up a PDF of his Master’s Thesis that he wrote under John Frame. The thesis is on Apostasy in Pastoral Theology. You can access the PDF directly by clicking HERE. It comes in at 267 pages long! I have yet to read it; seems like this week on Veritas Domain we have two entry on free things from Steve Hays!